While studying to become a doctor in Cuba, Ronald fell from the fourth floor a building during an earthquake. The fall shattered his tibia and tore the peroneal tendon. After five days of intensive therapy and treatment, his leg became infected and fearing for his life doctors had to remove it. Following his amputation, Ronaldo was able to finish medical school and received his medical license. However, upon returning to native Bolivia, Ronaldo could not practice medicine because he could not to move the way he used to on one leg. He did not have the means to pay for a prosthetic leg and his dreams of being a doctor began to slip through his fingers. All of that changed in December when Ronald was fitted with a LIMBS knee. 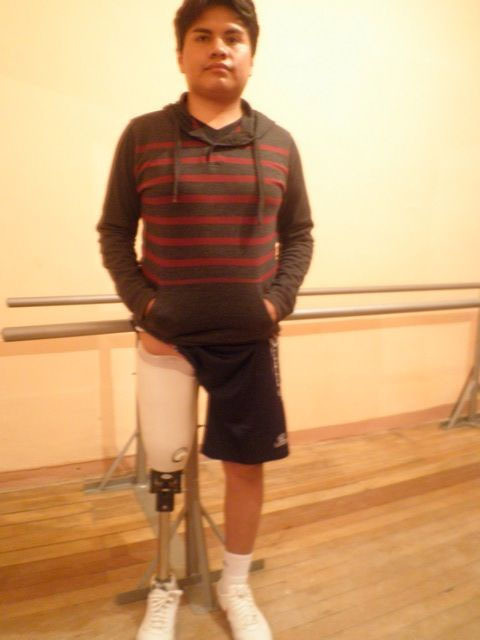 He is now able walk again and is looking forward to practicing as a doctor. He now has big plans for this future and wants to help people like himself have suffered through catastrophic injuries by specializing in traumatology or becoming a surgeon.